Four sections make up the town of Redding, Connecticut: Georgetown, Redding Center, Redding Ridge and West Redding. I receive quite a few e-mails about Redding and most request an insiders guide to Redding, Connecticut. Having grown up here and having the insight of five generations in Redding I do know what it was and what it has become. Georgetown has a very rich history and the Gilbert and Bennett Wire Manufacturing Company played a key role in the town's development. After a down period of about 20 years, Georgetown is coming around again. The town has a bright future, and at the present time housing purchases should provide buyers with a positive return in the coming years. The Gilbert & Bennett Wire Mill Renovation Project is underway and will tranform this industrial district of Redding into a major hub of business, residential, and recreational activity. It's location is advantageous to commuters who work in the Southern Fairfield County area and New York City (Branchville Train Station). Route 7 is the main route to southern Fairfield County towns but on most days it is quite congested. 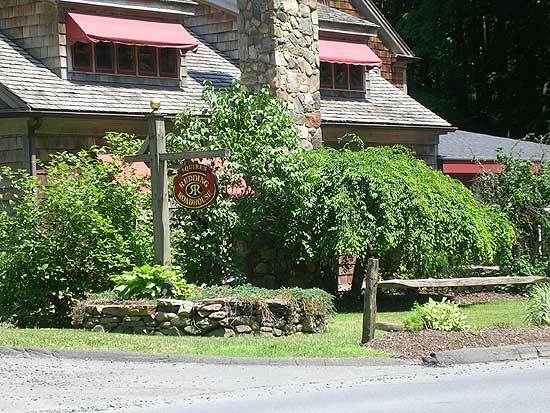 Georgetowners "in-the-know" opt for a backroad route into Weston via Route 57, then down to Route 53 into Wilton where they can re-connect with Route 7 via Route 33, or continue on Route 53 to Norwalk where they can hop on I-95. Georgetown is Redding's "hot-spot" in terms of nightlife. The Georgetown Saloon has been entertaining customers with it's Country-Western style since 1978. The Saloon has a winning combo of great food and entertainment. In addition, Rancho Alegro Mexican Restaurant, Lombardi's Pizza, and a new Seafood Restaurant make Georgetown's Main Street the place to be when the sun goes down. Golden Village and East Cafe are close by and offer Chinese and South Asian menu options. As noted, Georgetown's borders extend into Redding, Weston and Wilton so if you are interested in viewing Georgetown listings make sure you specify your needs to the Realtor. Online searches for properties in Georgetown will result in 0 listings in most cases, because they get looped in with Redding, Weston, Wilton listings in real estate databases. Redding Center today is much like it was when the town received Parish status in 1729, the center of town business affairs. The scenery has certainly changed but the Center is still where all town business takes place in the Town Hall building and at the Old Town House. 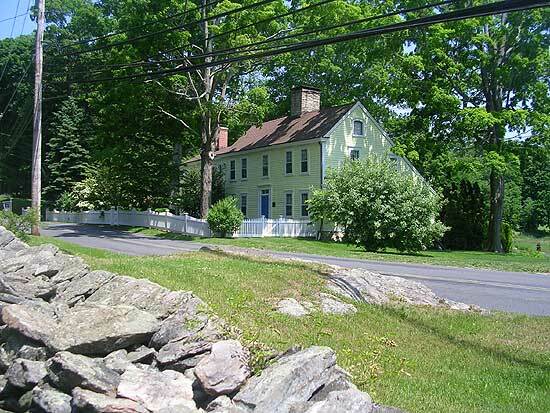 Redding Center is also where you'll find a good number of Historic Homes. 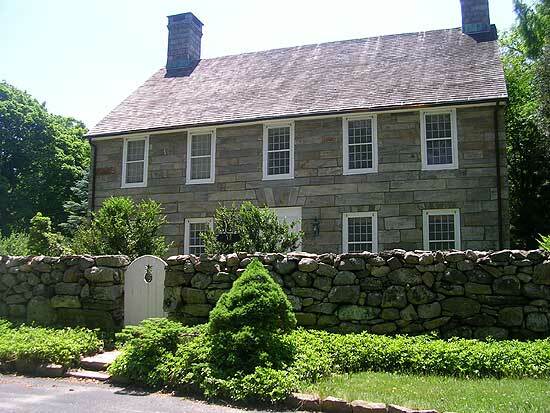 One of my favorite properties is currently for sale, it dates to 1753 and has a very interesting past (During the Revolutionary War, munitions were stored in the attic of the house by the Rev. Bartlett). In 1753, the Rev. Nathaniel Bartlett and his wife Eunice began construction of the New England salt-box style house, on 20 acres of land donated by the Congregational church, being a common practice of the era. Per the Redding Church Records, the property was deeded over to the Rev. Nathaniel Bartlett on June 08, 1753, by Deacon Lemuel Sanford. In its external appearance, it remains virtually unchanged from how it must originally have looked, except for a wing added on to the east in 1847, and a patio out back. It is located at #10 Cross Highway, just off Route # 107 in Redding Center, directly across from the "Heritage House" -former senior center. #20 Cross Highway which abuts the Bartlett/Sanford property is currently for sale as well. What's great about Redding Center is that gems like these are preserved and every once in a while enter the market. A drive along Cross Highway takes you over the hills and valleys that at one time marked the northern boundary of Fairfield. Yes, Fairfield once extended that far. But Redding Center is more than just Cross Highway. Sanfordtown Road and Lonetown Road are two sections that I find appealing. Sanfordtown Road leads down to the Sanfordtown section of Redding which at one time was a manufacturing district of town. The Sanfordtown section has a number of new houses and developments along Newtown Turnpike. Lonetown Road leads you to the location of one of Redding's earliest settlements: Lonetown Manor, home of John Read, Jr. and Sr. two very important individuals in town history. It is also where the Native American tribes that occupied Redding at the time of its settlement resided. At the corner of Lonetown and Putnam Park Road (Route 107) a vacant hillside, once known as "Chickens Hill" offers a look at what it may have looked like way-back-when. Redding Center has been built up over the years but it still mantains a rural character and it is a very convenient location in town. Redding Elementary School, the Redding Community Center, the Town House, Historical Society and Redding Country Club all are located on Lonetown Road. Putnam Memorial Park is a short distance north. Redding Center residents have quick access to the larger town of Bethel, and the business district of West Redding. Those wishing to enjoy a quiet afternoon at the Reservoir simply head down Sherman Turnpike or as it was once called Lover's Lane. Redding Ridge is a historically significant section of Redding. 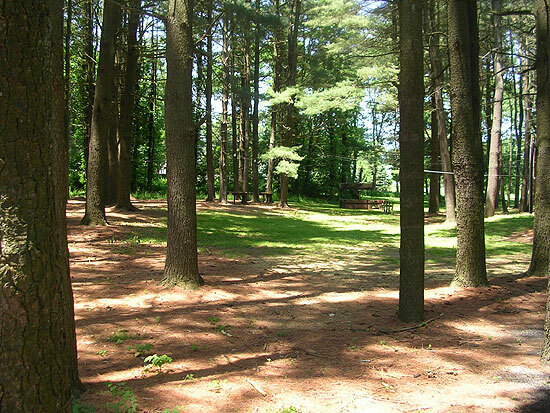 It was referred to as Chestnut Ridge by early settlers and settlement here may date as far back as 1709. The book: My Brother Sam is Dead, which chose Redding Ridge for it's setting has made it a very popular search term here at the History of Redding. While the book is historic fiction many of the events described did occur : The British stopped here on their way burn Danbury, and the Anglican Church that served as an important element of the story is here too. Redding Ridge has a number of sub-sections: Aspetuck Valley, Southern Black Rock Turnpike, Center Ridge, Northern Black Rock, Hopewell Woods/Sunset Hill. Route 58 a.k.a. Black Rock Turnpike is the main road in this section of town. The Aspetuck Valley follows Poverty Hollow Road. This area is one of Redding's quietest residential areas and despite the name of the road is quite an affluent community. This section of town was once an industrial district in the 1800's, making use of the Aspetuck River to power mills and factories. Almost as quickly as these mills and shops appeared they failed and faded away leaving the workforce that supported them in poverty. The Poverty Hollow namesake is believed to have come from the conditions area inhabitants endured as the community entered the 1900's. Around 1905, a forward thinking gentleman named Noble Hoggson with a passion for architecture and the funds to fuel his passion, envisioned an upscale community development in the impoverished Aspectuck district. 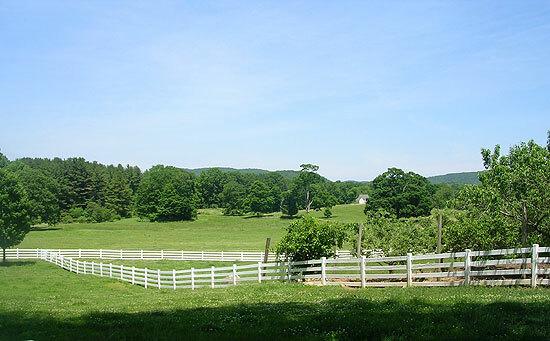 He renamed the area "Pleasant Valley" and with many of his influential friends and associates purchased a good number of properties in the Aspectuck Valley transforming them into grand estates. His timing was great, Redding became front page news all over the World when Samuel L. Clemens (Mark Twain) arrived in 1908. Once relatively unknown, many artists, writers and others of wealth and influence became aware of its rural beauty and flocked here. Many of the impressive estates on Poverty Hollow Road in the present day are the work or influence of Mr. Hoggson, of course, the original homesteads of the Aspectuck Valley were demolished or greatly altered to achieve Hoggson's visions. Homes in the Aspetuck Valley tend to be on the high-end of the market but it is well worth the price. 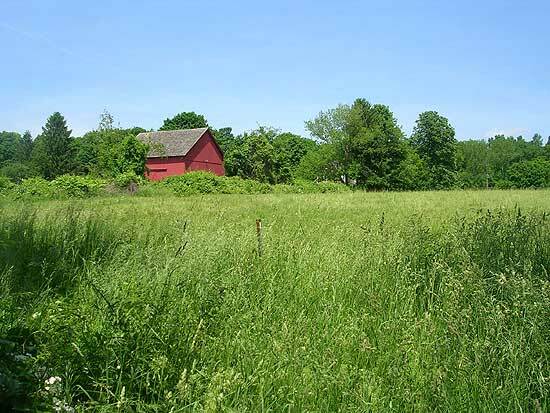 Residents enjoy the rural serenity of this area, yet have easy access to Easton, Newtown, and Monroe, Connecticut. The high school is also a short distance away which is great for those who enjoy playing tennis, walking the track, chipping golf balls or catching a ballgame. Southern Black Rock is on the Easton, Connecticut side of town. It's my own title for the area and I start it at the High School entrance on Rt. 58 heading south to the Easton/Redding line. This area doesn't have many side streets, I can only think of one: Pine Tree Road. So the houses in this section are close to Route 58. 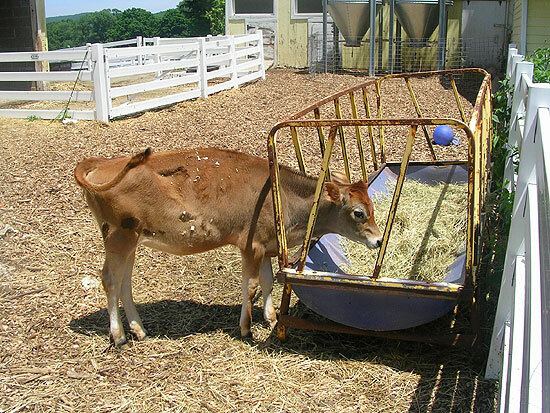 That may be an undesirable aspect to those with pets and small children but on the flip-side many of these properties border open-space (watershed property) which is nice...just plan on planting deer-resistant flowers and bushes. Expect to pay anywhere from $400,000 to $800,000 in this section. Recent sale: Pine Tree Road, $500,000. This section starts at the High School entrance heading north and ends at Sunset Hill. This area is where Redding's earliest settlers built their homesteads, ridges were preferred over valleys and the north-to-south highways ran through here. Ridge Center was once an educational paradise for children of the "well-to-do" thru the visions and efforts of Daniel Sanford. Daniel established the Redding Institute which later became known as the Sanford School in 1905. The grounds of the School at the corner of Church Hill and Black Rock Trpk. were once a large farm owned by Thomas Ryan...I believe Onions were an important crop for Mr. Ryan, at least that's what I've been told. In the summer months the school served as the Ridgewold Inn. Another Inn known as the Ridge Inn existed in this section too. Today the Jesse P. Sanford Boys and Girls Club carries on the teaching tradition via athletics and youth programs. There are a good number of house options and price ranges in this area, plenty of side streets and long driveways to buffer the traffic on Route 58. The Catholic Church and Episcopal Church are located here, as is the Redding Ridge Fire Dept. This section begins at the corner of Sunset Hill and Route 58 and continues north to the Redding/Bethel line. This stretch of road once ended at John Read Road, from there you could take a western route and come out in Lonetown or head north up Sunset Hill to Bethel, Connecticut. Route 58 changed all that and in recent years this section of town has added new homes, roads and developments. It is convenient to Bethel and Newtown, Connecticut. The Little River Valley runs through most of it. There is hiking along the river off of John Read Road, and on the Bethel side is Putnam Memorial Park. In addition to it's educational appeal, Putnam Park is a fun place to picnic and fish in the summer months. Expect to pay anywhere from $400,000 to $1,300,000 in this section. New homes and developments have been on the rise in this area for the last 25 years. Hopewell Woods is the cross route to Newtown via it's connection to Poverty Hollow, Sunset Hill is the back route to Bethel. Both these roads have a long history in Redding, Sunset Hill's more glamerous than Hopewell's. Sunset Hill was the main turnpike route from Redding to Bethel and was the route to Danbury taken by British troops in 1777. Formerly known as Couch's Hill and Wiantenuck, many wealthy individuals have called Sunset Hill home, the most well regarded being the Huntington's, Anna and Archer, for their 800 acre "gift" to Redding residents: Huntington State Park. Most do not know a man named Commodore Walther Luttgen was responsible for converting this beautiful ridge property into a sylvan paradise, with lakes and miles of Victorian carriage drives that now serve as hiking/biking trails. Large farms and estates have always graced the hilltops of this section, now-a-days there are just more of them. Homes here are at the high-end of the market but there are affordable options available on the side roads. Hopewell Woods, wasn't too well thought of by early residents of Redding Ridge. An example comes from the Ridge's most infamous character, William Heron, a double agent in the Revolutionary War: "At one of the annual town meetings, Mr. Hezekiah Morgan, a somewhat illiterate man, was nominated for grand juror. Squire Heron, in laced waistcoat, ruffles, and velvet breeches, and aiding himself with his gold-headed cane, arose to oppose the motion. "Mr. Moderator," said he, "who is this Hezekiah Morgan? Why, a man brought up in Hopewell woods: he fears neither God, man, nor the devil. " No one looks down on the residents of Hopewell Woods these days as it has grown to contain many fine estates. Most of these houses are recent additions, coming after the town dump closed and the recycling center opened. The stretch of road from the recycling center to Poverty Hollow has been paved and is much more enjoyable than it once was. West Redding has always been an attractive section of town. It contains quite a few of Redding's finest open space properties, New Pond Farm and the town park at Topstone. Gallows Hill Road, Lonetown Road, Marchant Road, Seventy Acres, Topstone Road and Umpawaug Road are locations of some of Redding's finest homes and developments. For those interested in American History, West Redding played a role in that too: Umpawaug Hill served as the headquaters of General Israel Putnam while his division of Continental Troops encamped at Redding during the winter of 1778-79. A Guardhouse, where a spy and a deserter were held prior to their executions, was also located on Umpawaug Hill. 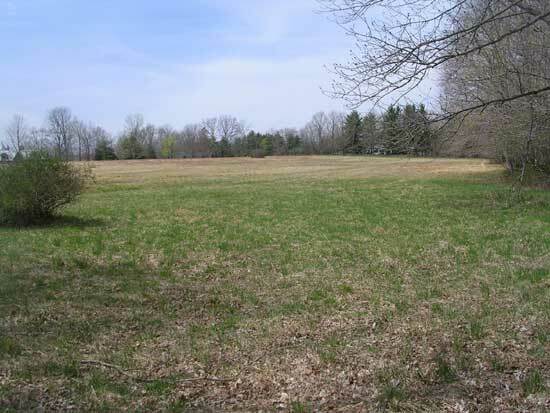 The naturalist will be pleased to know West Redding contains: Saugatuck Falls Natural Area (312 acres), New Pond Farm (102 acres), Limekiln Natural Area (184 acres), Reeve Biggers Trail (139 acres), Stormfield (161 acres) and Topstone Park (274 acres). And that is just to name a few of them! The coming of the Railroad, built between 1850-1852 from Norwalk to Danbury sparked the business district of West Redding. While small it is very convenient and contains a hair stylist, general store, pizza shop, barber, dentist, post office and a restaurant. West Redding is close just about everything in town: Mark Twain Public Library is 5 minutes away. Both the Elementary and Middle School are 5-10 minutes from here. 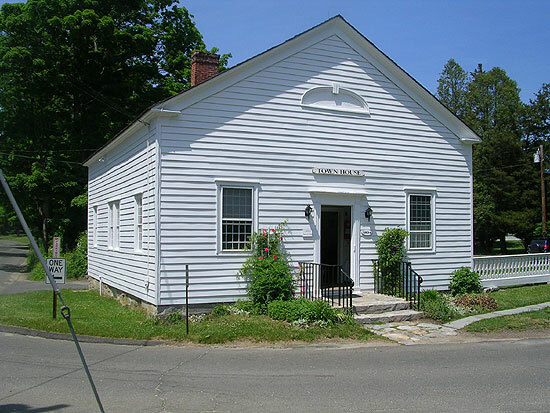 Town Hall, the Community Center/Senior Center, Country Club and Historical Society are all short 5-10 minute drives. If you commute to the city, you can use the West Redding Train Station. Amenities outside of West Redding are also in close proximity: Bethel Center is 3 miles away, Danbury is 5 miles away, Danbury Fair Mall is 2.5 miles away, Georgetown is 1.5 miles away, Ridgefield is 3 miles away, Weston is 3 miles away, Westport is 5 miles away. West Redding has properties for every budget.